There is no hard evidence as to exactly when and where man first trained a bird of prey, but the art of falconry was already well established in the far and middle east by 2000bc. In more recent history it was reputedly the favourite sport of every king and Queen in England and Scotland, between Alfred the Great and George III. Falconry is still alive and well in Scotland today. Skyhigh Falconry was founded by Alan Rothery a passionate and dedicated falconer, as well as a sentient conservationist, who lives and breathes with his birds in one of the most beautiful, unspoilt parts of Scotland. 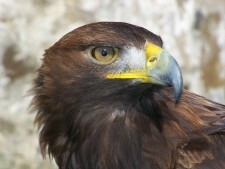 Skyhigh Falconry offers bird of prey demonstrations and displays for events large and small throughout the UK. Alternatively individuals and small groups a unique opportunity to spend time with a falconer and his birds. The ethos behind Skyhigh Falconry is to promote and preserve the art of falconry and birds of prey for future generations. Education through entertainment. 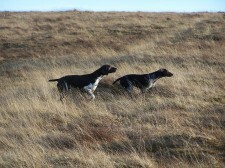 Skyhigh Falconry can organise sporting breaks and accommodation, exclusive hotel, self catering or B&B. We can arrange a wide variety of sporting activities, including walked up shooting, mini driven days, golf and trout/salmon fishing.